Turn Key dental office for lease on Colby Ave. Turn Key Monroe dental practice For Sale. Turn Key dental office for lease next to Edmonds Community College. 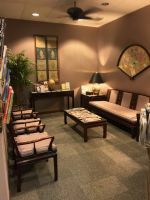 Great Location Dental Office Available Now! 3 operatory dental office for lease in Medical/Dental building. Spacious modern operatory available for rent in a shared office space. Office located in professional building on Washington Square West in the heart of Greenwich Village.